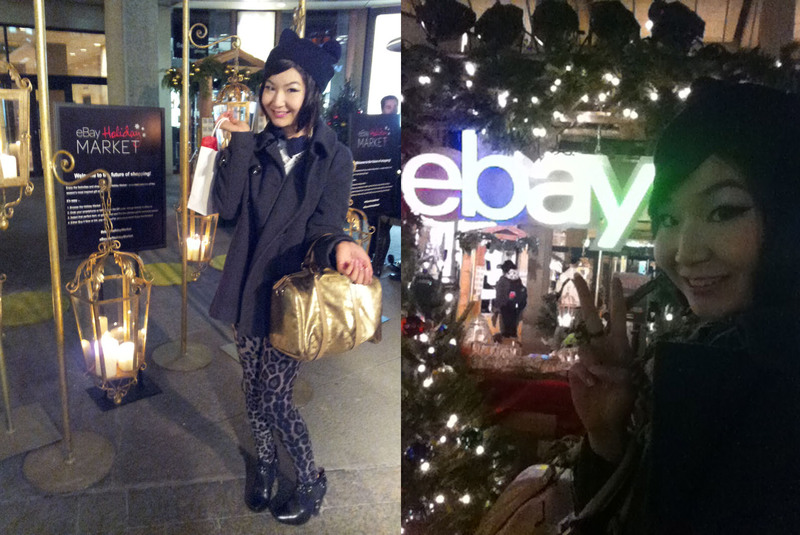 Last night I dropped by the #eBayHolidayMarket - a festive outdoor mobile shopping experience with Michele (@rubanxrose)! 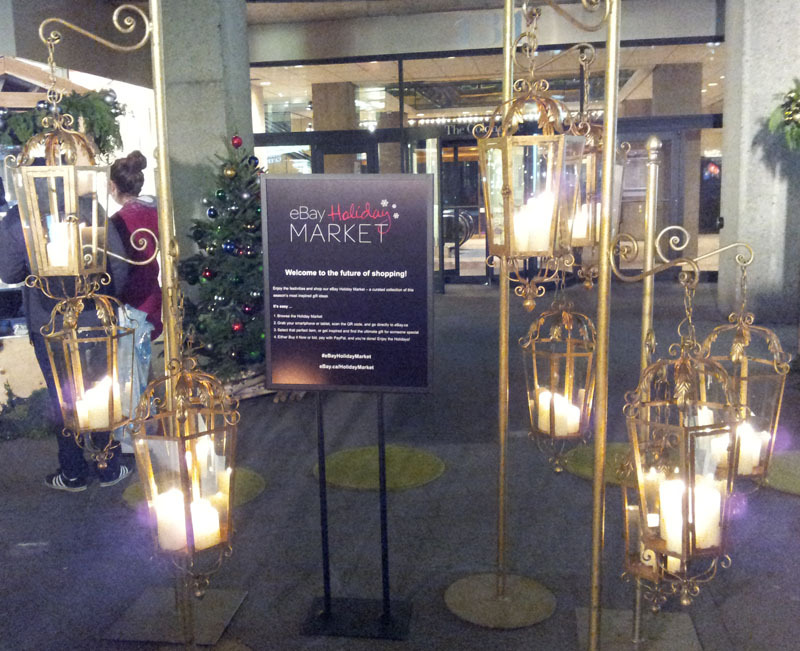 eBay Canada has opened a 3-day, outdoor Holiday Market in downtown Toronto. It is eBay’s first Canadian pop-up shop which will allow you to browse a curated collection of this season’s most inspired gift ideas - of course, you can find it all on eBay. It was so festive and the eBayCanada team created such a cozy, relaxing environment that you should definitely check out while you still can! Let me describe it in pictures.. 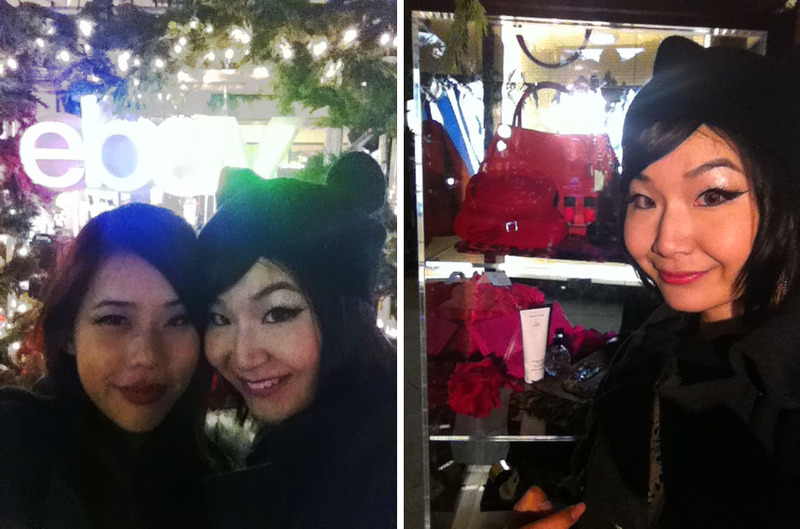 When we arrived, it was already dark and a bit chilly. 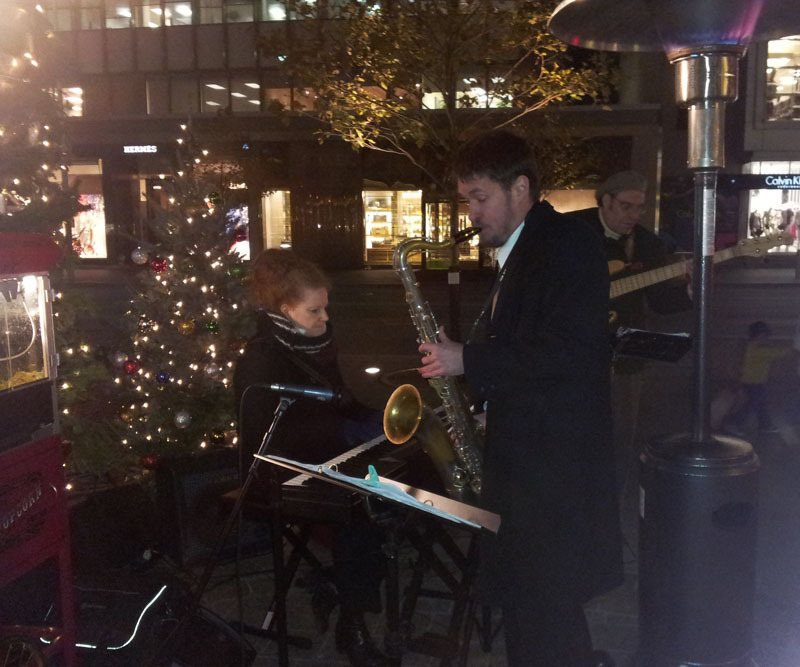 They had live jazz band playing, free snacks and hot chocolate as well as juice and popcorn! Don't kill me, Michele, but she had at least 5 of those sandwiches!! hahah! November 15th at 3:00 p.m. through to November 17th at 11:00 p.m.
you can shop any time of the day or night! We also got to meet eBay Canada Country Manager, Andrea Stairs, for a short interview session. #1: There is an eBay Fashion app and Motors app for smart phones. I know for a fact that it works for iPhones but not too sure about the Androids. These apps has more customizable features to make your search for that unique piece easy peasy. For example, the eBay Fashion app allows you to refine your search by Brands, Style Colour, Materials and much more. It's fantastic for those who are super picky about exactly what you want to purchase. 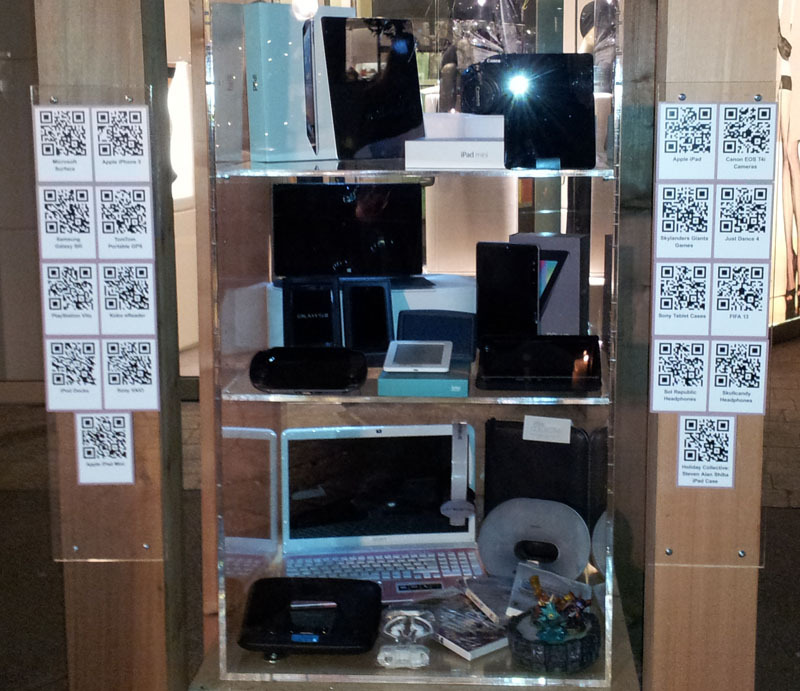 #2: The top 3 categories for eBay Canada is: Fashion, Electronics and Motors. I was pretty shocked about the motors part, I think JC will be pretty interested in this. I know my dad loves the Electronics stuff. #4 Recent trends with Canadian consumer behaviour: increasingly likely to purchase via the 'Buy It Now' option versus the roots of eBay of 'Auction'. eBay has evolved in so many ways and just to top it off, they even changed their logo! I'm pretty sure we covered other topics but these are the 5 things I remembered most :) It was such a pleasure to chat with Andrea! Other than having an interview session with Andrea, we also got to learn about the cool things happening at the Market. You can actually mobile shop as you're hanging out here. I only took pictures of the above two since they are my favourite things to look for when I'm on eBay. What's cool about the eBay Holiday Market is that they feature exclusive items by designers under $100 - eBay Holiday Collective! So you can actually check out the real life item before purchasing right here! 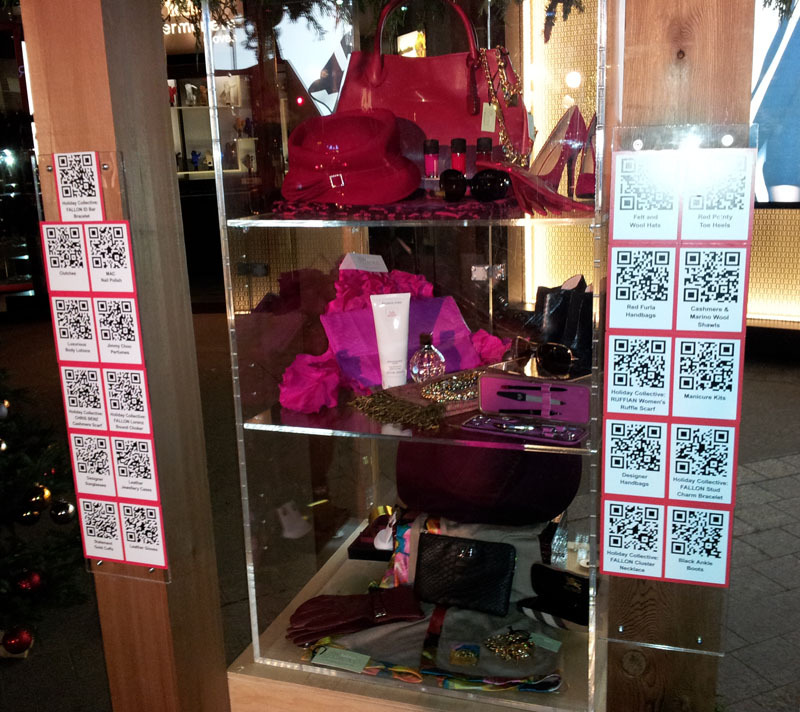 We played with the QR code to shop and thanks Michele for being my hand model! ps, my lip colour matches the purse and the clutch hehe!! Finally, just in case you didn't already know about the eBay contest, check it out here! 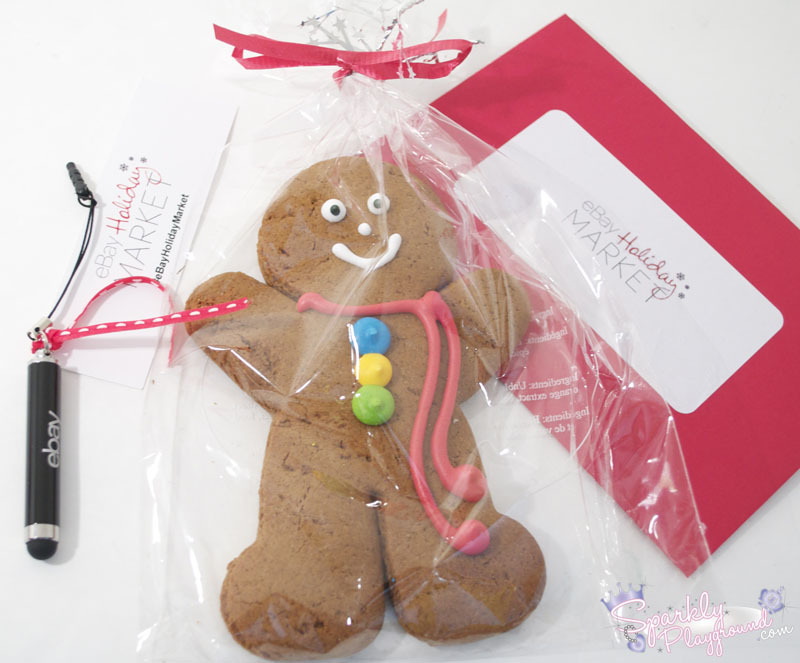 There is the lovely gingerbread cutie, a stylus for smartphones, and an eBay gift certificate! I'm obsessed with the stylus because my long nails makes me very incompetent with smart phones. Even more stoked with the gift certificate.. so many things I want to get. hm..